It is every website owner’s desire to see their site ranking highly on Google search engine results because this translates to increased traffic and subsequently an increase in sales. If you are experiencing any of the following signs on your website, then it is likely that you have been hit by Google Panda algorithm. A decrease in your site’s organic traffic that eventually stabilizes. You are ranking averagely on certain words though not as good as before and your site is mostly on the second and third pages of search engine results for most searches. Your pages have difficulty ranking despite good quality backlinks. Your rankings experience a sharp decline after Google updates. You are experiencing a decline in sales, leads and even profits as a result of the decrease in traffic. Google Panda is a type of site wide quality algorithm filter that is designed to evaluate the quality of websites with the aim of decreasing results for low quality websites. As such, the algorithm not only affects your traffic but also your keywords. 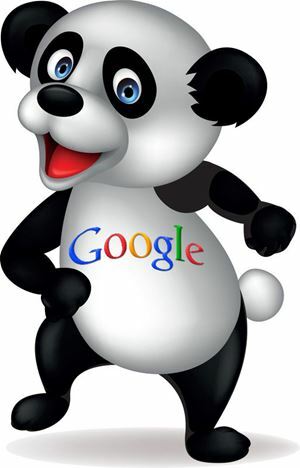 There are two kinds of Google Panda penalties namely algorithmic and manual. Whereas the manual penalty sends you a message on Google Webmaster tools, the algorithm penalty only lets you see a drop in your traffic as well as rankings. When you receive a message on your Webmaster tools account, be sure to check for sample links that may be violating the guidelines. When the penalty finds your website content to be of low quality then Google will assign your site a low quality score. This makes it difficult for your site to rank well in the search engine hence the massive loss of traffic and business. A simple test to determine whether your site has been affected would be performing a keyword search related to your website content. The appearance of irrelevant results before your site is a sign that your site is affected. The good news is that this is not permanent as we can help you fix it and restore your site’s ranking, traffic and revenues. We are committed to Google Panda Penalty Recovery by applying the right level of clean up as well as ensure strict adherence to Google’s guidelines. We will look to identify all the causes of the penalty like content duplication, slow site speed and bad user experience before coming up with acceptable solutions. We will analyze your links as well as content that have been penalized. Through the use of advanced, proprietary techniques, we will return your traffic back to normal as quickly as possible. To get started on the road to recovery, click the button below and fill out our penalty discovery form now.